"Heath, call Chrissie Mills. She's the founder of a wonderful charity called Hope for Tomorrow. She is an amazing woman and you will find great inspiration from her for your journey. Definitely call her - it's a perfect combination..."
And, as the saying goes, the rest is history..! 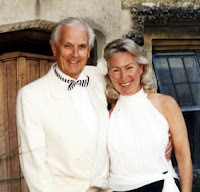 During our first meeting one sunny July afternoon in a Mayfair pub, I was immediately struck by Christine's story and the dedication shown in setting up such a tremendously worthwhile cause, driven by her love and memory of her husband, David. 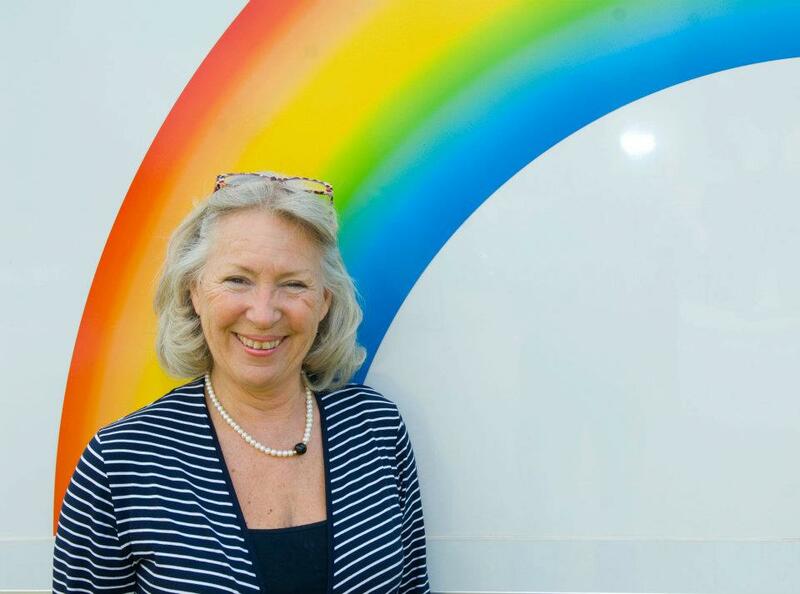 Through her words I was touched by her vision, her personal commitment to the charity and her tireless efforts to achieve the vision of bringing cancer treatment closer to home through mobile chemotherapy units - affectionally dubbed, 'Magic Busses'. Through Christine's vision, over 3000 patients have been treated so far, saving over 70,000 miles of travel. The charity's ambition is to have one mobile-unit in every county in the UK. Christine’s business career began with RAC Motor Sport Division in 1966, where she met her future husband David Mills. David, who spent his entire working life involved in motor sport, had worked for world champion Jack Brabham prior to joining the RAC. In 1968, she and David were asked by Ford Motor Company to start Ford Sport Club from their offices in Fleet Street. This involved organising trips to the major Formula 1 races for club members and motoring correspondents from the national and motoring press. In 1973, the couple set up their own company, Planners International, which involved promotions, press relations and driver management. It was during this period they widened their involvement in motor racing and took on the personal management of a number of racing drivers including five-times winner a Le Mans, Derek Bell. In 1982 they started a highly successful art publishing business covering a wide range of motor racing subjects. It was during this period that David and Christine had the idea to raise funds for Charity through art, setting up Art To Give as a vehicle for their vision. However fate stepped in the way when David was diagnosed with cancer of the spine. After David lost his brave battle in 2002 Christine was determined to press on with their dream and in November 2003 founded the charity Hope for Tomorrow in David’s memory. One of the many stresses the David and Christine endured during his treatment for cancer was travelling from their home to the Oncology Centre – a journey of nearly 60 miles. Christine wanted the charity to focus in a practical way, to alleviate the additional anxieties of travelling. She met Dr Sean Elyan, Consultant Oncologist and Medical Director of the Gloucestershire Hospitals NHS Foundation Trust and discovered that he had a vision to bring chemotherapy closer to the patient. This inspired her to make the dream into a reality and the charity initially raised £150,000 to build the world’s first Mobile Chemotherapy Unit. Sir Stirling Moss - one of the couples' many friends from the world of motor sport, in which David had spent his whole working life - did the honours and Gloucestershire NHS had its first mobile chemotherapy unit. Christine Mills is certainly more than one of the 'people you meet along the way'. She is someone who I feel incredibly fortunate to have met and I can't be more delighted to work alongside her and the Hope for Tomorrow team to bring her vision 'closer to home'. Being able to so quickly see your contribution ‘materialise’ into a new Unit is fantastic and, knowing that it will be helping countless rurally based cancer sufferers to, as one carer has put it, “have a life outside of cancer” – what better endorsement could there possibly be?